Glow to sleep under a starry night sky! 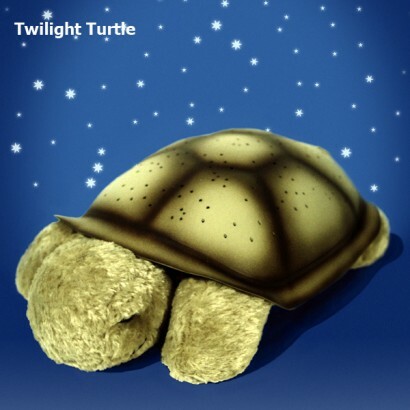 The award-winning Twilight Turtle makes bedtime fun for children of all ages. These constellation nightlights are the perfect bedtime companions. Twilight Turtle, the first plush constellation nightlight ever created, transforms any room into a starry night sky to help comfort children to sleep. From within his plastic shell, Twilight Turtle projects a magical constellation of stars onto bedroom ceiling and walls in three soothing color options. 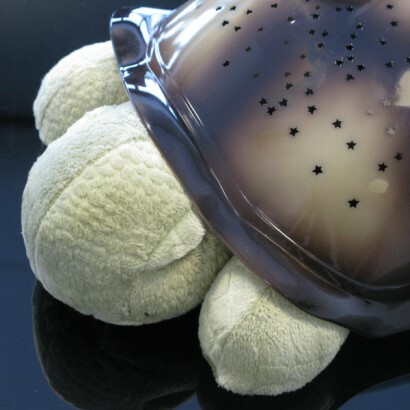 Twilight Turtles shell illuminates like a nightlight to help ease children's fear of the dark. 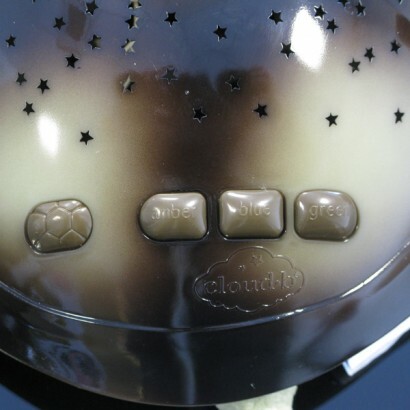 This interactive and educational toy includes eight actual constellations (such as The Big Dipper) embedded in the star pattern. Parents can sit with their children and identify these major constellations using the wonderfully illustrated Twilight Turtle Star Guide. 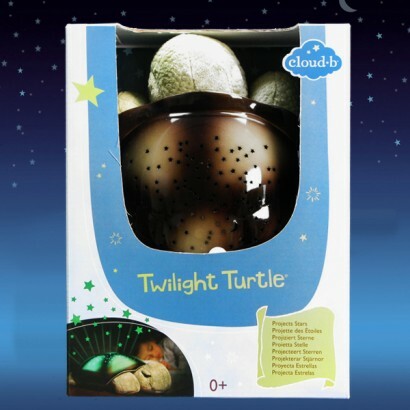 Twilight Turtle helps make bedtime fun for children of all ages. We had been loaned the night light turtle and my daughter loved it so much that I bought one from the Glow Company and it was delivered very quickly. Lovely. My son loves his new Turtle. I ordered this item along with a couple others and received them within a day! batteries came inside the turtle. 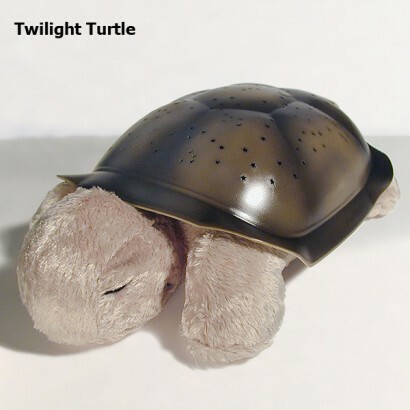 My daughter had seen the twilight turtle at her younger cousins house and it was top of her list for her 6th birthday. She absolutely loves it and is fascinated by moving it around to make the stars different sizes. She loves changing the colours too - a real hit which so far has been used every evening!